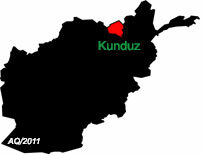 WASHINGTON, July 25 (Sputnik) – US Forces-Afghanistan (USFOR-A) is investigating reports that airstrikes led to civilian casualties during a military operation in Kunduz province, USFOR-A spokesman Lieutenant Colonel Martin O’Donnell said in a press release on Wednesday. Last week, the Afghan Defense Ministry confirmed that 14 people were “killed and wounded” in a joint airstrike on July 19 in Kunduz. Nematullah Temori, a spokesman for the Kunduz governor, said women and children were among the 14 people killed in the raid in Chardara, a district outside Kunduz city that has long been fought over between Taliban and government security forces, according to a report in the New York Times. Victims of the family members at a funeral ceremony on July 20 called on the Afghan government for justice, local media outlet Tolo News reported. Former President Hamid Karzai said the incident is a war crime and that Kabul should ensure foreign forces stop carrying out these types of operations, the report added. Get out of Afghanistan !